There are two kinds of people: Those who love writing and those who love the idea of writing. The former involves countless hours of labor with little pay off and the hope that one day someone will develop an interest in what you have to say. The latter, on the other hand, involves nothing more than creating an outward artistic image while incessantly talking about the novel you have been writing since high school that never seems to materialize. We are all familiar with the image of the writer. He or she is supposed to be a social pariah, the eccentric recluse who is at odds with the world. Literary history provides numerous examples: Emily Dickinson, Soren Kierkegaard, J.D. Salinger, and so on. Despite their brilliance, these individuals struggled with society and their role within it. Yet they continued to write. They continued, perhaps in some cases against their better judgments, to carry on with their chosen path. It leads one to ask: Why answer the call of writing at all if what you are doing can be mocked, shunned, or worse, not even noticed? In a world filled with distraction and a seemingly infinite list of ways to spend your time, why chose to write? It took most of my undergraduate life to find my voice. The first noteworthy thing I penned was an academic paper comparing and contrasting the similarities and differences among Thomas Hobbes, John Locke and J.J. Rousseau which I later presented at a national history conference in Albuquerque, NM. Over the next two years, things gradually fell into place. In that time I began writing for a regional arts and entertainment weekly, then a magazine, then my first book, “Thumbing Through Thoreau” – a book of aphorisms by the American Transcendentalist Henry David Thoreau – was published. In the seven years that had passed since my freshman World Literature class, I had found my voice. The title of “writer” was something I could now possess. Writing is a means to an end; it is a process that one commits to, embraces fully, and lives for. In my own experience, I answered its seductive call over a period of years, gradually, as I slowly became aware of my abilities as a writer. Kenny Luck is a graduate student at Marywood University in Scranton, Pennsylvania, and holds a Bachelor’s Degree in History/Political Science from the same institution. 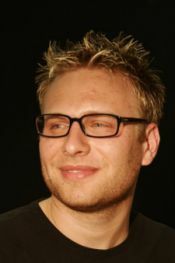 He writes for The Weekender – an arts and entertainment weekly – and is currently working on his second book. He enjoys recording music, book browsing, and travel. 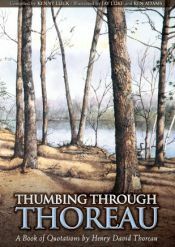 You can visit his website at www.thumbingthroughthoreau.com. Thumbing Through Thoreau is his debut book.